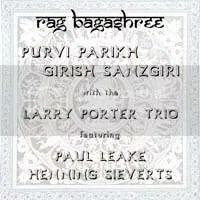 Another good example of western bands collaborating with Indian vocalists to produce collusive music, Rag Bagashree by Larry Porter Tabla Trio is a good buy, if only for the excellent Piano played by the band leader Larry Porter. This coming-together of east and west took place when Indian vocalist Purvi Parikh and Girish Sanzgiri, vocalist and a senior accounts executive by profession, were on tour in Europe giving workshops in Indian classical music. The idea was to use the traditional North Indian style of interpreting a Raga, in this case Raga Bageshree, in bringing together the two vocalists and jazz Piano and Tabla trio. The result is rare indeed and a tribute to the openness of the musicians involved. Purists of Indian classical music may frown upon such fusions, but such are the ways of the bold and adventurous. The recording is a bit amateurish, though. Recorded at Unterfahrt, Munich, November 15, 1992. Some people are born to be self destructive.. like Adnan Sami. Take a look at his career graph. Once known to possess the fastest fingers on the piano keyboard, Adnan Sami took his classical music lessons from none other than Santoor maestro, Pandit Shivkumar Sharma. Two decades ago, in 1990 he, together with Tabla wizard Ustad Zakir Hussain, created music that can safely be termed as sheer magic. It was at a live concert in Karachi, Pakistan. 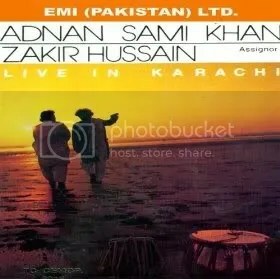 Classical instrumental music, Adnan is playing the piano, cannot get better than this. Wonder why the two magicians never collaborated again. Also wonder why Adnan Sami made a mess of his career and ..personal life.